Firstly we would like to thank you for giving us the opportunity to provide you with a dental assessment. 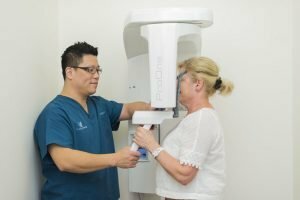 At Precision Dental we want our patients to gain confidence from their first visit so we take the necessary time to get to know you and thoroughly evaluate your present dental condition by listening to your needs and concerns. This includes reviewing your medical and dental history along with your lifestyle, habits, dietary assessment as well as listening to what you are hoping to achieve both short and long term. Palpation of face, neck, jaw muscles and jaw joints to check function and health. Check for swellings or soreness which may indicate presence of infection or pathology. Oral cancer or pathology screening on soft tissues such as lips, cheeks, tongue, throat, roof of mouth and gums. Integrity of teeth – signs of decay, cracks, existing restorations, tooth wear, missingteeth and overall appearance. Gum health and signs of periodontal disease. Occlusion – how your teeth come together and assess for signs of parafunction such as grinding or clenching. 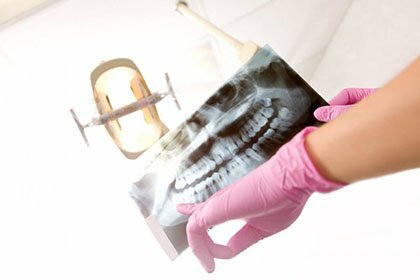 Intra Oral X-rays play an essential role in detecting decays inside or in between teeth and under the old fillings/crown. Diagnostic photographs and impressions for diagnostic models (3 dimensional record), if required. In some cases we may take an OPG which is a full mouth scan of upper and lower jaws as this can be used to assess wisdom teeth and infection/pathology in the bone. Once the full examination is completed, we will use the gathered information to formulate a list all your treatment options available, only if we come to a conclusion that you do require dental treatment. The dentist will discuss and communicate the advantages and disadvantages of each option and answer any questions and treatment expectations including cost and duration. 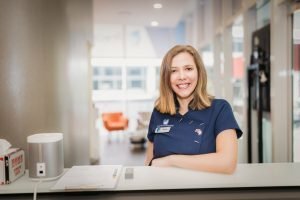 Once we have devised your personalised treatment plan our friendly staff will print a quote with all the item numbers for your health fund so you can review your rebate and calculate the out of pocket expense.